This is the true story of how United Airlines and Orbitz Travel tag-teamed to screw me out of $330 and leave me stranded in Dallas, Texas – all because I decided to volunteer to help Joplin tornado victims. This is a first-hand account that happened in my own experience. On May 8th, 2011 I bought an airline ticket on Orbitz.com for a flight to and from Dallas, TX out of Chicago, IL to visit my grandfather. During the purchase, I selected each flight separately: One from Chicago to Dallas on June 6, and a return flight on June 9. I was shown the individual prices for each flight and how they totaled up to $329.40 with the two flights and taxes and fees. Upon checkout, I read the disclaimers and agreements necessary to purchase the tickets, then completed my purchase. My bank statement showed that I paid my money to United Airlines. To the best of my understanding I had purchased tickets for two different flights directly from United Airlines. Then, two week later, on May 23rd, the unthinkable happened: My hometown of Joplin, MO was hit by an EF-5 tornado and was completely devastated. I decided that I wanted to do everything in my power to help, so I coordinated with friends in Joplin and friends and churches in Chicago to bring a U-Haul truck full of donated supplies to Joplin. U-Haul donated the truck at half the price, and my dad decided to meet me in Joplin to give me a ride down to Dallas from there. On June 5th, I started toward Joplin with a truck full of supplies and spent the next two days delivering them and visiting with friends. Once I unloaded all the supplies in Joplin, I handed the truck off to a friend who needed to move out of their nearly-condemned house. Then, I headed off to Dallas to visit my grandfather as scheduled. Meanwhile, I had missed my scheduled June 6th flight. No big deal, I thought. I had made it to Dallas and I could just take my June 9th flight back to Chicago from there. Because of my Joplin detour, I only had two days in Dallas, but I was able to visit with my grandfather, my aunt and uncle, and my sister and her family, so it was two days well spent. What happened next was quite unbelievable to me. 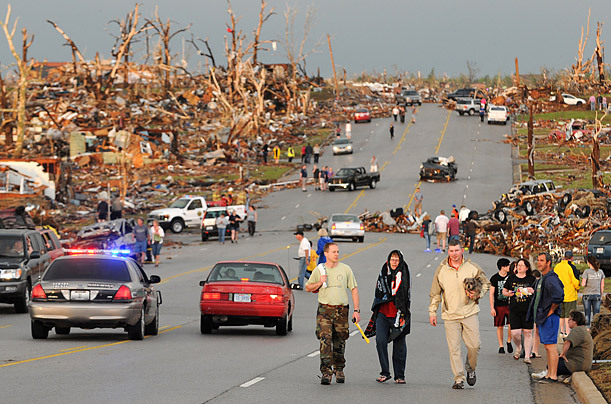 That being said, what happened was nothing in comparison to the suffering of the victims of the Joplin tornado. In the grand scheme of things, this was small potatoes. Still, I was quite shocked how selfish, greedy, and irresponsible these major corporations could be to allow this, nay, intentionally cause this to happen. On June 9th, I started receiving the standard reminder text messages from Orbitz that my flight was scheduled to leave and running on time. I picked up my bags and was dropped off at the airport two hours ahead of schedule to board my flight. The worker at the ticket window informed me I did not have a ticket on the flight. I told him it must be a mistake, I had my confirmation paper for the flight printed out and had received three text messages that day reminding me of the flight. As it turns out, United canceled my June 9th ticket without informing me after I did not make my June 6th flight. Then, they resold the seat I had already paid for departing June 9th and the plane was completely booked up. I couldn’t believe that they could possibly do this, but they told me this was their standard policy – tickets were not bought as individuals, they were bought as a package, and if you miss any leg in a trip, the entire trip was automatically canceled on you. I asked United Airlines if I could get a refund and they told me that they couldn’t even entertain that because I had purchased my tickets from Orbitz, not from them (despite what my bank statement showed). They went on to explain to me that Orbitz buys hundreds of thousands of airline tickets in bulk from United Airlines and then resells them to consumers, thus taking the resale risk upon themselves. This, of course, didn’t fit with their claim that round trips were sold as packages: The seats were obviously sold individually to Orbitz, and Orbitz was the ones who packaged them together for me – I remember customizing my flights schedule online. The individuals at the United ticket window assured me I was mistaken and that I had purchased a packet trip subject to United’s missed-flight policy. I told them that I had never agreed to such a policy and I would like to see documentation that I had agreed to this policy. Again, they told me that Orbitz must have presented me with this policy when I purchased my tickets from them and that I could not have possibly purchased tickets from them without agreeing to it. 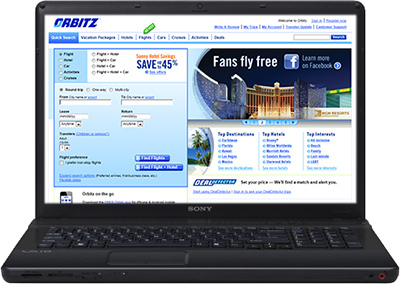 You may think you’re buying convenience when you use Orbitz, but you’re not. You’re subsidizing a useless middleman who causes headaches for others, and you’re their next victim. I called Orbitz and asked for a copy of this policy or any indication that I had agreed to this policy, and they were unable to provide me with one. They merely said, “You must have agreed to it.” I asked them if there was anything they could do – issue me a refund, ask for a refund from United and pass it along to me, anything, and they told me the best they could do was sell me another ticket for $500 out of Dallas that night. What I truly didn’t understand is where my $329.40 went. Some of it went to an empty seat in a flight from Chicago, IL to Dallas, TX on June 6. But United Airlines re-sold my June 9th seat for over $400 to another passenger, so they were making double money on my seat. Meanwhile, I was out $330, hadn’t taken a single flight, and was stranded in Dallas, TX – 1,000 miles from my home. 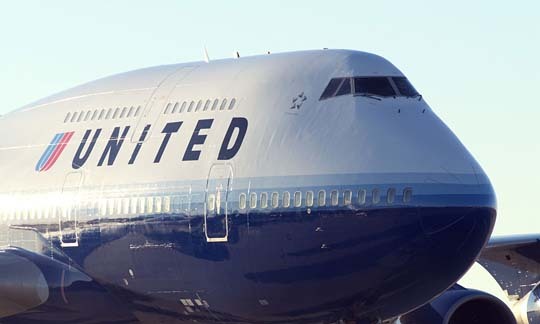 After hours and hours of going back and forth with United personnel and Orbitz personnel one individual from United took me aside and explained to me: I was screwed. United and Orbitz are reluctant business partners and at the end of they day United hates dealing with them, but reluctantly does as a necessary evil. Orbitz makes only a few dollars profit on each plane ticket they sell, so they weren’t willing to help me out and were perfectly willing to lose me as a customer. So, two multi-billion corporations are at odds with each other over “needing” each other to conduct business, and meanwhile I am getting screwed because no one seems to care that I paid for a ticket I didn’t get to use, wasn’t told was canceled on me, and was, in fact, told the opposite by Orbitz in reminder texts to make my flight! I used to think what people said about Southwest was too good to be true. But it is true. 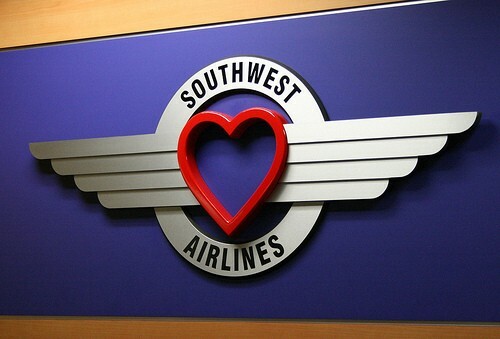 Southwest Airlines = Love. I ended up calling Southwest Airlines and purchasing a one-way ticket to Chicago out of Love Field scheduled to depart the next morning. I asked the person at Southwest if they had the same kind of policy that automatically canceled round-trip tickets if someone missed a flight on a leg of their journey. The woman on the phone sounded shocked and said that kind of policy didn’t make any sense and they never had any such policy. She said all tickets sold were considered one-way tickets and that missing one flight would never affect my ability to board another. She even said that she had never even heard of another airline doing this kind of thing. I later found out that this is also standard practice for American Airlines as well. To this day I have made numerous requests to both United Airlines and Orbitz to furnish me with a copy of the alleged agreement I signed stating that I understood my second flight would be canceled if I missed my first. Not one of my requests have received a response from either company. So, the moral of the story? Don’t buy tickets from Orbitz. Don’t buy flights from United Airlines. Fly Southwest or Jet Blue every possible chance you get (the prices are often better, but even if they are not, it is worth paying extra to avoid the pain, frustration, and total loss of purchase as happened in my case). Seriously, United Airlines. What’s wrong with you guys?